SRINAGAR: The much-awaited latest edition of Coke Studio Pakistan is out on Youtube and other social media platforms, creating a buzz among music lovers across the world. 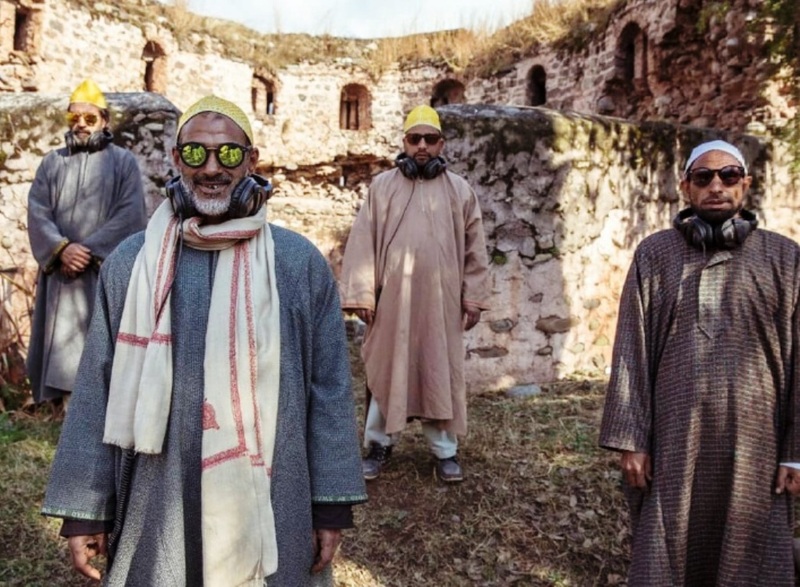 But the talking point of this year’s Coke Studio is the inclusion of a Kashmiri song Ha Gulo, sung by Muzaffarabad based artist Altaf Mir. Ha Gulo is one of the major Mehjoor melodies and is romantic. Like Coke Studio’s musical journey in Pakistan, Mir’s life is full of twists and turns too. HaGulo songs artist with their instruments. Altaf Mir, a singer, Ghulam Mohammad Daar plays Sarangi. Tumbaknaer’ by Saifuddin Shah Garha’ by Manzoor Ahmed Khan. 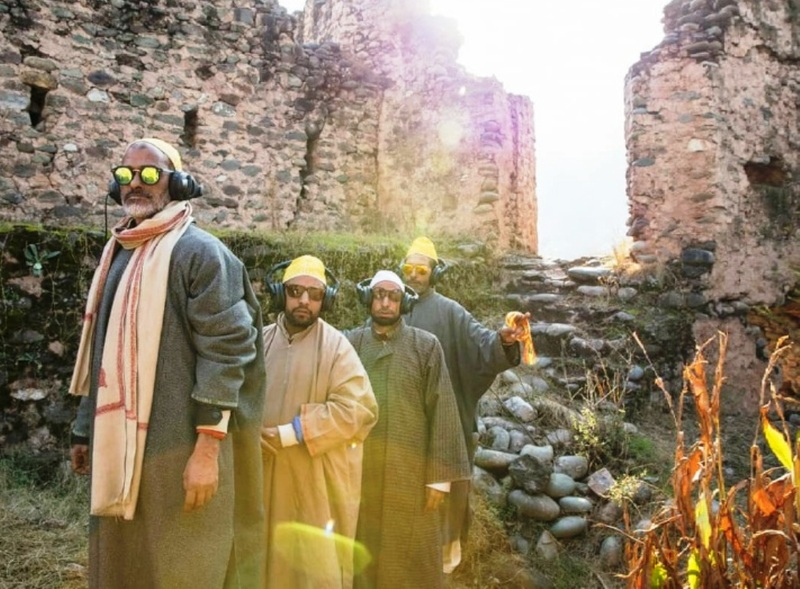 But unlike Coke Studio Pakistan, which is in the eleventh year of its production, Mir’s journey coincides with the start of the insurgency in Kashmir in the 1990s. But as situation on the ground in Kashmir changed fast, and the voice of folk singers like Mir faded under the noise of roaring guns, he decided to cross over to Pakistan administered Kashmir (PaK) for armed training. Leaving behind threads, needles and his musical instruments, Mir yearned for an AK47. Altaf Mir with his band Qasamir, masterful skills of Qasamir and powerful chorus makes for an unforgettable experience in the final episode. Instantly, Mir realized that in the five years he spent in PaK a lot had changed in Kashmir. The insurgency he had joined enthusiastically was struggling to survive given the rise of Ikhwan – a government-backed counter-insurgency group. For next one year, Mir managed to survive Setha Gujjar’s wrath by going “underground” without taking part in any militant activity. Then in mid-1996, Mir managed to sneak out once again and cross over to PaK. Unlike his first journey with friends and cousins, this trip was full of dangers. “Had it not been Ikhwan era, he might have stayed,” said Shah. Once in Muzaffarabad, Mir decided to shun gun and start afresh, and carve a modest life for himself. His expertise with needles and threads came in handy. At the same time, Mir started to rediscover his long-lost roots with Kashmir’s folk music. With life back on track Mir decided to take the next big step. In the year 2000, Mir got married to a local girl from Muzaffarabad. He is now the father of four sons. In 2015, thanks to social media, Mir once again got in touch with his family back in Kashmir. “It was a joyous moment for his mother when she heard his voice again,” said Shah. Since then Mir’s now aged mother has visited him twice via Wagha border. The big movement in Mir’s life came in late 2017, when Coke Studio team started looking for new talent across Pakistan, mostly in the periphery and off the urban cameras. Mir’s group which he calls Qasamir, was one of the seven bands chosen for Coke Studio’s 2018 edition. The latest season of Coke Studio, called Explorer, features Ariana, Amrina, Shamu Bai, Vishnu, Qasamir, Mishal Khawaja and Nar Sur. These artists were chosen to keep in mind Pakistan’s diversity of cultures and languages. “I don’t dance at all. But today I danced first time, as my dream has come true,” a smiling Mir is seen saying in the making of Ha Gulo video. Ha Gulo Tohi Ma Sa Wuchwan Yaar Meon is one of the old classics of the famed Kashmiri poet, the late Ghulam Ahmad Mehjoor, whose poetry was political and romantic at the same time. But Mir is not the only person in the video that was already watched by more than three lakh people. He is lead singer given his experience and association with Radio Pakistan for the last many years. His three other colleagues in the video are Ghulam Muhammad Dar, who is playing Sarangi, Saifuddin Shah, the man with traditional Tumbaknari as Manzoor Ahmad Khan is playing with the Nout, the Gardha in Punjabi plains. 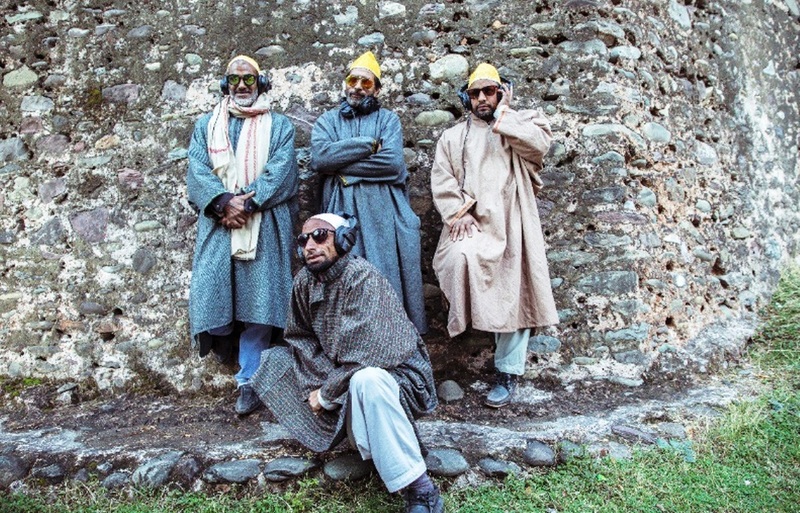 These four artists who have migrated from Kashmir make the band – Qasmir. They have been holding shows in most of Pakistan where a lot of Kashmir community exists. The video gives a feeling of Kashmiri music of the Raj Begum and Hasan Sofi era. Seemingly, the producers have deliberately attempted making it sort of nostalgic by getting back in Kashmir’s time wrap – though not in this part of Kashmir – when the Vale was all about beauty and romance. The producers have used authentic Kashmiri Pheran and the typical Kashmir cap. But even for featuring that lost Kashmir, the Coke Studio required the victims of the new Kashmir, now “one of the world’s most dangerous places”.